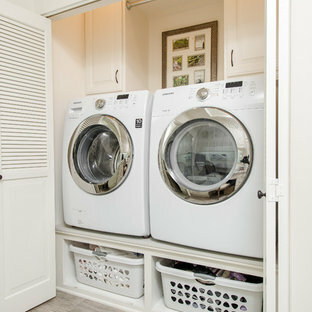 Part of the new addition was adding the laundry upstairs! 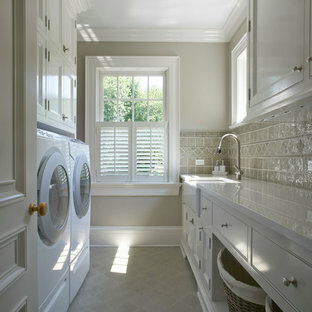 Original to the home was a beautiful stained glass window. 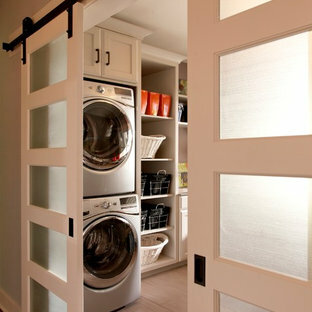 The homeowner’s wanted to reuse it and since the laundry room had no exterior window, it was perfect. 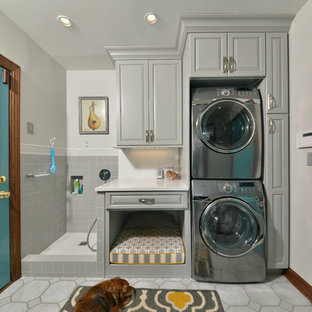 Natural light from the skylight above the back stairway filters through it and illuminates the laundry room. 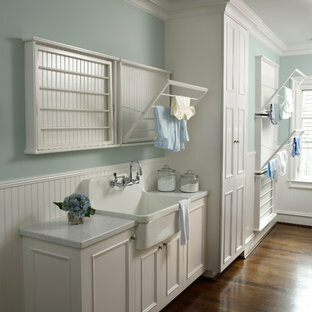 What was an otherwise mundane space now showcases a beautiful art piece. 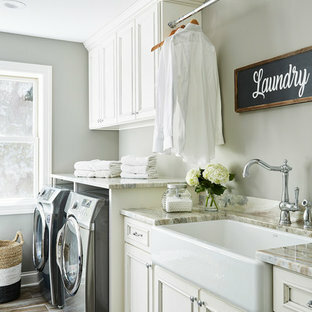 The room also features one of Cambria’s newest counter top colors, Parys. 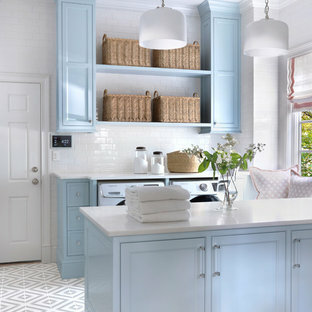 The rich blue and gray tones are seen again in the blue wall paint and the stainless steel sink and faucet finish. 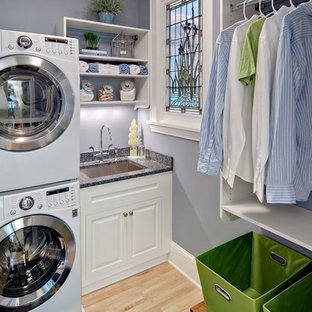 Twin Cities Closet Company provided for this small space making the most of every square inch. 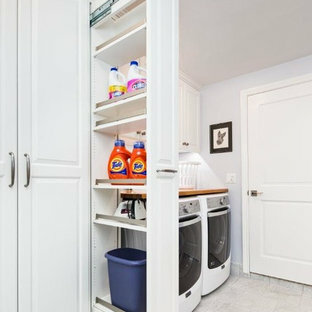 This laundry room features a very useful fold out ironing board for touch ups plus roll out baskets.